As a subsidiary of Kikiktagruk Inupiat Corporation, an Alaska Native Corporation, KIC Logistics LLC is a small business eligible to participate in important federal preference programs. As an SBA 8(a) Alaska Native Corporation (ANC), KIC Logistics LLC always delivers quality and efficient services to its customers from housing to hardware. KIC Logistics offers our customers experienced management services and supply-chain operations in the areas of inventory control, fleet management, rotable equipment and parts services. 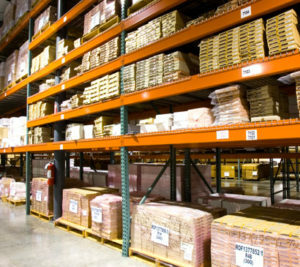 KIC Logistics owns and operates a variety of end-user retail outlets, supplying our customers with hardware, lumber, vehicle parts, and all-terrain vehicles and snow machines. We are a leading supplier of top name-brand appliances in Kotzebue, AK. KIC Logistics’s breadth of experience and capability, coupled with an ANC 8(a) business status, makes us a premier choice for customers seeking flexible and responsive logistics solutions. KIC Logistics teams with its customers to craft and execute well-planned strategies to meet and exceed client needs. Our team works with state-of-the-art technologies and methods contributing to the success of our clients’ projects. In addition to these capabilities, KICL has well-established strategic alliances (including mentor-protégé relationships) with several companies we bring to the team to assure excellent service level in all requirement areas.